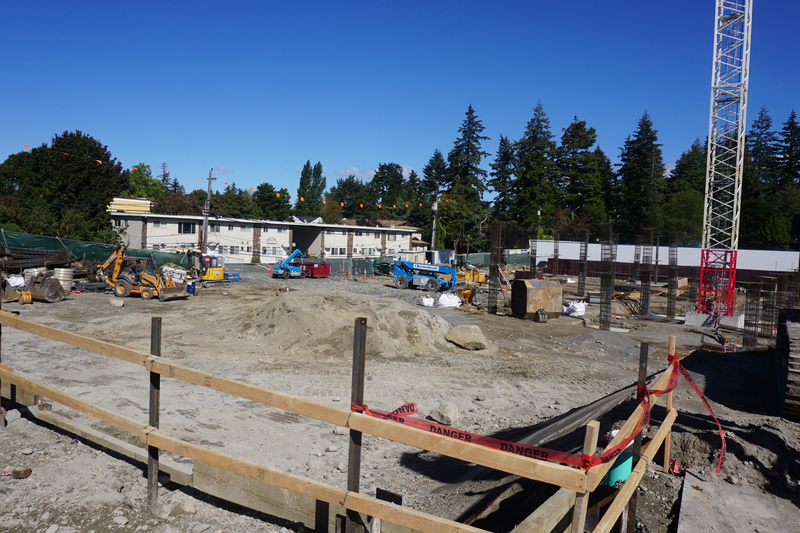 Construction of the Vail Apartments, 17962 Midvale Ave N, is well underway. 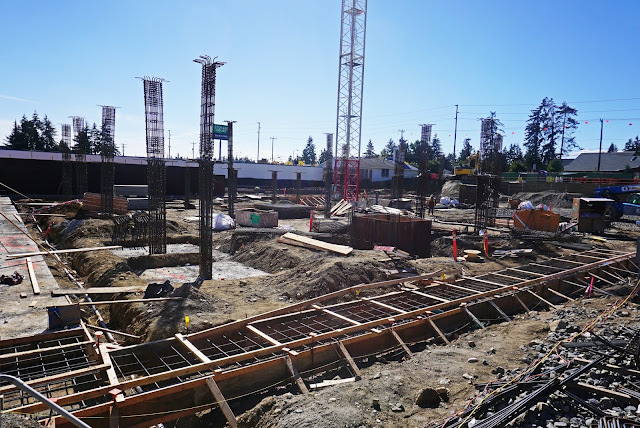 The site is just north of Shoreline City Hall on Midvale, next to the blue and white storage facility which itself will be the site of the new community / aquatics center. 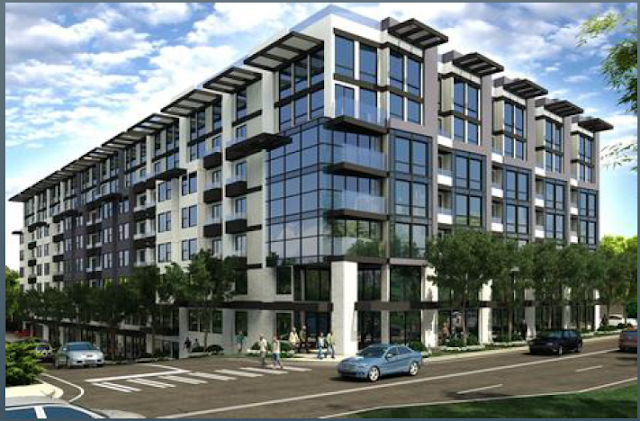 The Vail is planned for seven levels mixed use, with 195 units, and 3,400 sq. ft. of commercial space. There will be two levels of parking. The site is notable now for the large crane onsite. This is the concept graphic submitted to the Planning Department. Shoreline is going to be nothing but apartments. Roll back the neighborhood rezones! Are any of these developments going to be low income? Does anybody realize how many people are just getting by?